JTC Academy is a state approved school. 2. How can my child attend JTC Academy? JTC Academy is an exclusive private school serving only students with Individual Educational Plans (IEP's). 3. How does the Level System work? Weekly privileges will given to students who are on level A and B. Level A - Students will be able to play in the Activity Room/Gym for 15 minutes. They will also be given ice-cream daily for lunch. Level B - Students will be able to play games in classroom for 15 minutes during their assigned game time. 4. How does the Point System work for the Student Store? Point sheets will be tracked daily for students and will not only determine the amount of money they receive in the store but it also will be tallied and is used to determine how they progress from one phase to another. 5. How much do uniforms cost? Please see the Student Handbook for uniform cost. 6. Is there a fee for my child to attend? We are a tuition based school. Typically, the school district that you reside in pays for the student to attend JTC Academy. All public school districts in Illinois are required to service students with IEPs. If the district, through an IEP meeting, determines that JTC Academy can provide the most appropriate support and education, then the student will be enrolled. 7. What are the 3 R's? 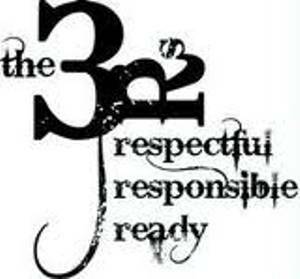 Ready, Respect, Responsibility. The universal language of JTC Academy of its staff and students is to be Ready, to be Respectful, and to be Responsible. All expectation will revolve around these key words in common area,classrooms, etc. Character education tickets will be given to students when seen demonstrating acts of being Ready, Respectful, and Responsible. The student with the most tickets at the end of the month will in a "surprise basket with goodies" (There will be one at each school). The class with the most coupons per quarter as posted on the large bulletin board in the hallway will win a movie day at Ronnie's theater for the entire class. 8. What grades are taught at JTC Academy? 9. What if my child already has a psychiatrist/therapist? Will you meet with them? Sure, with a signed release of confidentiality from the parent or legal guardian, we will meet with any therapist, psychiatrist, counselor, etc. 10. What is the Phase System? Along with their levels, Boys will be placed on 8 different phases with 1 being the lowest and 8 being the highest. Boys at Phase 1-4 will attend the 353 N. 88th St. location. Boys and Girls at Phase 5-8 will be located at our Coed/Reintegration School currently located at 4850 Market St., Centreville, IL 62207. We only accept girls that arrive already having Phase 5 requirements met in order to attend JTC Academy’s Phase 5-8 Coed reintegration program. Upon arrival or entering new school year, new boys are placed on Phase I. Returning students will be placed on one level below what that student earned the previous school year for 30 trial days. Upon completion of those 30 trial days, if that student is not meeting that Phase’s expectations, the student will be placed at Phase I. Since JTC Academy does not have Phase 1-4 programming for girls, all incoming girls are required to be functioning at Phase 5 and will start at the Coed/Reintegration Program at Phase 5 as all the students at this location do. Returning COED students will be placed on same level that student earned the previous school year for 30 trial days. Upon completion of those 30 trial days, if that coed student is not meeting that Phase’s expectations, the coed student will be placed at Phase 5. To move from one phase to another, students will need to meet the point requirement and petition to be moved up. All phase movements have to be approved by the BTP team. Once phase 4 is reached, the BTP team will call a meeting recommending admittance into the COED Reintegration Program for boys and girls at Phases 5-8. Once students reach Phase 7, a blue sticker will be placed on ID which means the can travel to restroom only without staff. Once a student reaches Phase 8 at the Coed/Reintegration Program, district is contacted and all efforts are made to reintegrate student back into the general education population. Once a student reaches Phase 8, a green sticker will be placed on ID and student can travel independently but only with permission and pass from teacher. Phase 1 is a probationary period and students do not shop in store but can earn points. Phase 5 Admittance into coed program. Yellow COED shirts, provided by JTC Academy, for Phases 5 and up can be worn. Potato Bar and Nacho bar on Fridays and can dress up first Friday of each month. Phase 6 Personal Pizza on Friday from Cafeteria, not ordered in. All Phase 5 incentives. 5 extra store points added to account each week. Phase 7 Unsupervised jobs up to 5 days per week, up to 2 hours per day at $2.50 per hour. All Phase 5-6 incentives. Dress up on every Friday. Unsupervised restroom breaks. Phase 8 Reintegration trials, all the privileges of phase 5-7, working towards placement in gen ed. McDonald’s meal every Friday. Unsupervised movement in building with pass. 11. Whom do I contact to set up an appointment if my child qualifies to attend JTC Academy?